Still wondering what to do for your honeymoon? 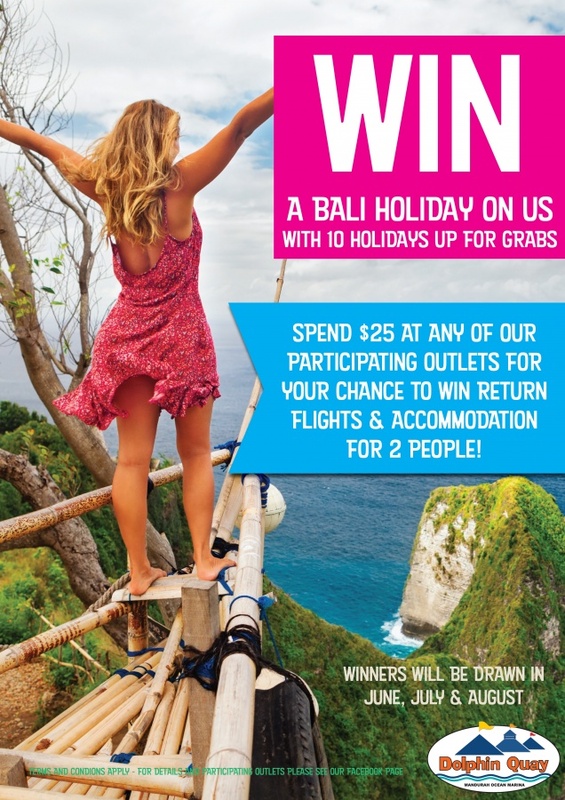 How about a free trip to Bali! For your chance to win, spend $25 or more during the competition period (1st June 2018 to the 31st August 2018) in any of the participating stores at Dolphin Quay, Mandurah Ocean Marina, fill in the entry form and put it in the competition barrel. For more details and full terms and conditions, check out Dolphin Quay's website or Facebook page and share with your friends. And yes, Something New is one of the participating stores - GOODLUCK!